One of the most important, impactful moments of a gay, lesbian, bisexual, transsexual, asexual, pansexual or queer individual’s life is finally breaking free from the socially-constructed closet and accepting that particular facet. The decision to come out comes fraught with a maelstrom of psychological, social, filial, emotional, mental and physical stresses – and due to the GLBTQ community’s status as marginalize minorities, they also have to fear discrimination, intolerance and (saddest of all) violence. Not to mention criminalization, occasionally punishable by death, in some nations. Because of this, it takes an impressive amount of personal integrity and strength to slough off society’s heteronormative expectations and be true to one’s own self. These incredibly brave blog posts represent a broad spectrum – though most of them sport positive and hopeful tones – of people coming forth to proudly accept their sexuality and asking loved ones for their support. Coming out as gay, lesbian, bisexual, transsexual or queer later on in life – especially after marriage and kids – poses its own unique set of emotions. One YouTube channel compiles the stories of different individuals, who hope to reach out to others in the same situation to show them that they are not alone. Famed magician and pseudoscience debunker James Randi feels that opening up about his homosexuality lifted a massive weight off his chest and allowed him to become the man he always wanted to be – at age 82! When the time comes to open up and be honest about one’s sexuality, the potential for relationships with family and friends stand as one of the biggest concerns. This beautiful, hopeful story proves how coming out can strengthen connections between loved ones. When teenagers come out, their parents may want to show their support and learn more about raising a GLBTQ child through different sociopolitical organizations such as PFLAG. Older generations have a reputation as less tolerant of diversity, but Kenneth Hill’s beautiful, brave story proves these perceptions as not always true. One British trooper takes the plunge and opens up to his comrades about his sexuality, finding himself surprised at how fine with it they all seemed. 38 West Point graduates banded together to form the Knights Out organization in protest of the American military’s “Don’t Ask, Don’t Tell” policy. Michelle Handley confesses that her coming out story lacks any “particularly exciting or drama filled” elements, but still hopes that she can inspire others to embrace themselves and bravely reveal it to their loved ones. A couple of helpful videos and articles provide great assistance for individuals struggling to tell their parents about their sexual and religious leanings. Scouting For All hopes to convince the Boy Scouts of America to lift its discriminatory practices against the GLBTQ and atheist communities, and one parent shares her struggles with having to keep her transwoman status quiet and ask her son to deny her in order for him to obtain the rank of Eagle Scout. 11.) “Neil Patrick Harris On Coming Out” at Joe.My.God. In his own words, actor Neil Patrick Harris discusses his difficulties publicly coming out with the ladies of The View. Memoirist Gregory Gerard likens the confusion that many young members of the GLBTQ community feel before accepting their sexuality to old mystery radio plays – an experience that he himself underwent. Some GLBTQ individuals – most likely those who grew up in homes sticking to religions opposing homosexuality – sometimes experience a degree of self-loathing upon coming out. Life coach and shamanic healer Mary Anne Flanagan did, and she wants to use her talents and experiences to make sure that others learn to love themselves. Rev. David Weekley bravely stood up in front of his Methodist congregation and told them that he had actually been born a female, but never felt like one. He believed that opening up to his followers, largely Japanese-Americans, would prove therapeutic and help them find some common ground when it comes to struggling as minorities. Award-winning gospel singer Tonex (Anthony Williams III) still feels very connected to his spirituality, resigning his strict Christian upbringing with his homosexuality and hoping to encourage youth struggling with their sexuality to open up, take a stand and understand that they are not alone and unloved. Coming out stories are as varied as the individuals in the GLBTQ community themselves, as this wonderful post demonstrates. Spending time in the United Kingdom inspired one woman to finally realize her lesbianism and open up to her family about the discovery. 18.) “Coming Out Stories” at Get Your Queer On! Get Your Queer On! hosts a broad variety of incredibly brave coming out stories by gays, lesbians, transsexuals, asexuals, bisexuals, pomosexuals and others – all of which deserve inclusion here. 19.) “A Teen’s Poem that you absolutely MUST read!” at I’m Here. I’m Queer. What the Hell Do I Read? 14-year-old Ethan wants other teenagers who struggle with understanding their sexuality to read his poem and hopefully realize that they are not alone in the world and help guide them towards accepting themselves. 2 generations of gay men offer NPR a unique glimpse into the struggles they faced coming out (and staying closeted) in different time periods and amongst their families. For Charles Winecoff, accepting his political leanings came saddled with similar struggles as the ones he dealt with when coming out of the sexual closet. The first step of coming out oftentimes involves conquering the fear of the unknown and external discrimination, and anyone hoping to step out of the closet needs to learn how to overcome any kernels of self-loathing before moving on to family and friends. The story of a U.S. Army Sergeant discharged under the tenets of “Don’t Ask, Don’t Tell” inspires an Average Gay Joe blogger to expound upon his own experiences in and out of the closet and military alike. A screening of the movie Milk prompts Susie Bright to discuss what the politician meant to some friends back in San Francisco, one of whom associates a personal meeting with him with the frightening task of coming out. This fun little story looks back on one lesbian’s first few experiences with other women following her official outing. The Atlantic’s Andrew Sullivan reminds readers that the struggle to “come out” is not relegated exclusively to the GLBTQ community. Eloquent and effecting, Caleb Eigsti’s coming out story epitomizes the importance of staying strong and maintaining integrity in the face of adversity. Read over one man’s furtive first few years outed only to very close friends and attempting to understand his sexuality better by visiting gay clubs. Sexuality can seem incredibly confusing to most people, and this great blog post by a couple involving an MTF transsexual illustrates how the only things that should matter are comfort and love. Although many blew off Ricky Martin’s 2010 outing as rather inconsequential to the GLBTQ community, Lorenzo Herrera y Lozano defends his actions as essential to inspiring gay Xicanos to embrace their sexuality and their heritage both – discussing his own experiences in the process. One woman seeks advice about how confused her friend seems once she comes out as a lesbian to a friend who sends out mixed signals and appears to have written her out of her life. A couple of videos inspire members of the GLBTQ community who need to come out to find the right way to let their parents know. “Being out doesn’t mean I have to be out to everyone” seems to be this schoolteacher’s philosophy on life as a gay man and how he relates to his superiors, coworkers and students. For Jacob Breslow, the act of coming out led him to pursue a life dedicated to promoting GLBTQ rights around the world and do whatever he can to eliminate homophobia and transphobia. Celebrity coming out stories are a dime a dozen these days, but country music star Chely Wright had her own professional hurdles to leap over – and even the peons without the benefit of fame may relate to her suicidal desperation for love and acceptance. This former housewife felt relief at coming out as a lesbian, but many concerns about what it means for her children, parents and ex-husband arose from her honesty. Although recounted by a friend, this positive article on how one company handled the outing of a FTM transsexual sensitively and responsibly illustrates the best possible scenario. Gay rights activist Frank Mugisha may not go into too many details about his coming out, but the rampant abuses he encountered as a result led him to work tirelessly for GLBTQ rights in his native Uganda. Saffo, formerly Fokion, uses her story to comment on the broader, collective struggles that the transgendered face when coming out of the socially-constructed closet. A Christian musician, after coming to terms with his sexuality and his faith alike, uses his talents to express the experience with the hope that others may find themselves inspired. One lesbian feared outing herself to her sister, a regular churchgoer, and the expected onslaught of bigotry. What she got instead was love, support and no intention of ever changing her sexuality. Eloquent and evocative, this beautiful blog post dissects the various ways in which GLBTQ people claim to realize when and where their sexuality became apparent to them. Welsh rugby player Gareth Thomas talks about the stigmas unfairly levied onto GLBTQ athletes and the career hits they take – but he does feel as if the largely positive reaction to his bravery is a step in the right direction. Self-described “butch dyke with cerebral palsy” Eva Sweeney deals with barrages of questions regarding both her sexuality and her disability – when all she really wants to do is enjoy life and never let anything hold her back. Remaining closeted due to social pressure caused one young man to feel uncomfortable at his own prom, and 13 years later he thinks back at how much he wished he could have been more honest with himself and his community. Dr. Jallen Rix peers into the sociopolitical and other factors that lead many people to wait until middle age (or later) to finally out themselves. Portland mayor Sam Adams actually considers his status as openly gay a positive step forward for GLBTQ politicians and civil rights alike. The New York Times hosts a sweet story in the Modern Love column regarding a MTF transsexual and how her young children proudly embraced her with new nomenclature and plenty of love and acceptance. Warm and humorous, this celebration of National Coming Out Day ’07 illustrates how being a member of the GLBTQ community is decidedly NOT the only facet of one’s core self! Ryan McAlister’s extremely brave decision to out himself as transgendered to his family was met with much-needed love and support, and his decision to undergo surgery lifted off the heavy yoke of depression and despair. In a world that only just recently woke up to the concept of GLBTQ Civil Rights, it takes impressive, if not superhuman, amounts of strength and self-awareness to come out of the closet. Anyone struggling with their sexuality or sexual identity can take comfort in knowing that they do not walk this oft-cruel world alone. No matter how rejected they may feel as a result of clashes with family, friends, or employers, they need to know that there are people out there who do genuinely love them for them. Dyslexia is characterized as a learning disability that can impair the ability to read. Letters often appear jumbled and someone with dyslexia can feel overwhelmed by a simple page of text. It is estimated that dyslexia affects between five and 17 percent of the population. However, if you or someone you know have dyslexia, those numbers can feel far smaller. As the below 50 famously successful people who are dyslexic will show you, dyslexics are rarely alone and have gone onto accomplish amazing and incredible feats in just about every arena imaginable. The fields of acting, music, politics, science, and even writing have all been conquered by dyslexics. The roles may differ, but these leading men all have dyslexia in common. This famous actor started off in such notable films as “Risky Business”and “Top Gun.” Other award-garnering performances have included “Jerry Maguire,”“Valkyrie,”and “A Few Good Men.” However, he is not just famous for jumping on Oprah’s couch and scientology. Diagnosed with dyslexia at age seven, he struggled to complete his academic studies and found his calling in acting. One of the most private actors in Hollywood, Keanu’s dyslexia is a bit of a myth. Born in Lebanon, he was raised in various countries before hitting it big as the goofy, loveable guy in “Bill and Ted’s Excellent Adventure.” Solid performances in films such as “Speed”and “Point Break”would go on to help him achieve cult status with a starring role in “The Matrix”franchise. His one-time role on the series “Happy Days”would mean more than any would ever think. It would lead to a starring role in the hit series “Mork and Mindy”and a new way the world would watch comedy. An impressive film career would follow with hits such as “Dead Poets Society,”“Good Morning, Vietnam,”“Aladdin,”and “Mrs. Doubtfire.” In 1997, Robin won the Oscar for Best Supporting Actor for the film “Good Will Hunting.” He has also won two Emmy Awards, four Golden Globes, two Screen Actors Guild Awards, and five Grammy Awards. He is best known for his role in “Slingblade”in a writing, directing, and starring capacity for which he won an Oscar for Best Adapted Screenplay. Other hits include “On Deadly Ground”and “Tombstone.” Now a blues rock singer, he is one of the few of any men, dyslexic or otherwise, who can say he was married to Angelina Jolie. Whether for his role in “The Lord of the Rings”or “Pirates of the Caribbean,”he is known across the globe. Other films include “Elizabethtown”and “Kingdom of Heaven.” A native of Canterbury, England he was also recently named a UNICEF Goodwill Ambassador. This Mexican American actor was born in Los Angeles and first earned fame for a role in the hit film “Blade Runner.” He was also famous for a supporting role in “Miami Vice.” Switching between film and television, Edward starred in “Stand and Deliver,”“Selena,”and the popular remake of the show “Battlestar Galactica.” The winner of several ALMA awards, he was also nominated for an Oscar in 1989. These leading ladies also struggle with dyslexia. Born Caryn Elaine Johnson, Whoopi first earned fame for her role in “The Color Purple”in 1985 for which she received an Oscar nomination. She would later go onto to star in movies such as “Sister Act”and fulfilled her dream of becoming a regular on “Star Trek.” Although diagnosed a dyslexic, she is far better known as the second African American woman to win an Oscar after Hattie McDaniel and would later be the first woman to host them. Born Cherilyn Sarkistan, she has experienced just about every medium of fame including television, song, and film. Star of the pop duo Sonny & Cher, she would also host a variety show with him. Then turning to film, a role in “Silkwood”would earn her a Best Supporting Actress nomination. In the following years, Cher starred in a string of hit films including “Mask,”“The Witches of Eastwick,”and “Moonstruck,”for which she won the Academy Award for Best Actress in 1988. Music would be the next arena conquered where she would be the only female solo artist to have a top ten hit in four decades and would go on to sell over 100 million albums. Born in Coatzacoalcos, Mexico, she is the daughter of an opera singer an oil company executive. Salma began her career in Mexico as the star of soap opera before moving onto film. Although she struggled with both dyslexia and a new language in English, she was still able to land the role that would change her life in 1995 in Robert Rodriguez’s “Desperado.” She would also catch the attention of director Quentin Tarantino in “From Dusk Till Dawn.” However, her best known role was the title in the film “Frida,”based on the life of artist Frida Kahlo, for which she would receive an Academy Award nomination. She was the nerdy but loveable daughter of the Seaver family in “Growing Pains.” However, Tracey made headlines again for her battle with eating disorders. A little known fact about Tracey is that her first onscreen kiss was with a young Brad Pitt. The Bionic Woman may have had million dollar eyes, but in real life her reading was affected by dyslexia. Using her talents, Lindsay was actually able to resurrect her character for the show and would go onto win an Emmy in 1976 for the series. Born in 1913, she was an actress from childhood up until she died in 2000. She won an Academy Award for her role in the 1947 film “The Farmer’s Daughter,”and received an Oscar nomination for her role in “Come to the Stable,”in 1950. She also had fame in television with several starring roles and “The Loretta Young Show”in the sixties. Conquering other areas of fame, business, sports, and more are the below dyslexics. You can see this famous person with dyslexia every night on “The Tonight Show.” Following in the footsteps of legends such as Johnny Carson, Jay brought new humor to the show in segments such as Headlines and Jay-walking. He first began his career as a stand-up comedian which landed him loads of guest and guest host spots on “Late Night with Letterman”and “The Tonight Show with Johnny Carson.” Better known for his comedy, chin, and car collection, Jay is also dyslexic. Born in New York, he is an American fashion designer best known for his works in red, white, and blue. Founder and president, his company went public in 1992 and was worth $1.8 billion in 2004. He also had a reality show called “The Cut”and recently sold his company for an impressive $3 billion. Born Cassius Clay in 1942, he made history by saying the words “I am the greatest”and then proving it. He was 18-0 when he first fought Sonny Liston in the boxing ring and created a sensation before the match with his words. By no means the highlight of his career, Ali would win six Kentucky Golden Glove titles, two National Golden Gloves, two Amateur Athletic Union championships, a Gold Medal in the light heavyweight division at the 1960 Rome Olympic games, and the world professional heavyweight championship three times. He wasn’t always the reality star television dad we now know him as on “Keeping up with the Kardashians.” Bruce was first an Olympic athlete in the arena of track and field. His struggle with dyslexia is actually what led him to sports and a new calling. In the 1976 Olympics, Jenner broke the world record for the decathlon and was handed an American flag. Taking his victory lap with it, Jenner’s image was and continues to be seen across the world. Although his dyslexia had hindered him in grade school, it actually was part of the reason he began his own newspaper in high school. The new style of papers attracted many prominent members of society and it was through these kinds of relationships that Richard would found his billionaire empire on. Over 150 companies make them up, putting Branson’s estimated personal wealth at $3 billion. If you are reading this on an iPad, iPhone, iMac, or other Apple device, you have Steve Jobs to thank in part. As the occasional CEO of the company, he has spearheaded some of its most famous creations. His dyslexia didn’t stop him from attending college where he met Steve Wozniak. They built a computer in the dorm and founded Apple Computers in 1976 with $1,300 in startup money. The rest is history. Earvin “Magic”Johnson was born in Michigan in 1959. Although he worked several jobs in his youth, he showed a talent for basketball. In 1977, he won the name “Magic”for his ability to pass and handle the ball. After playing for Michigan State University, he would go onto become part of the Los Angeles Lakers and win five NBA championships. He was forced to retire after contracting HIV but still makes time as an NBA commentator. He made fame in the wrestling business under the same name. He also grew up with dyslexia and ADD. However, neither stopped him from entering the wrestling ring at age 40 and is currently pursuing an acting career. These dyslexics prove that music can also be accomplished with the condition. This German composer was born in 1770 where his music became a turning point between classical and romantic. He moved to Vienna in his youth and studied music there. His reputation as a pianist began to grow and he sought to master the counterpoint technique. Signs of a coming deafness came in the late 1790’s and it was never truly known if he was a dyslexic, but there was no doubt that he was able to overcome adversity. He was part of the phenomenon group that would change music forever in The Beatles. Their first hit was “Love Me Do”and they would soon top the charts across the world after that. Unhappy to rest on his success with the band, John walked away from the band to pursue his own individualistic style of music. The influential “Imagine”was among the best and continues to be played and covered continuously. Before his untimely shooting, John was a major advocate of peace. Born in New York City in 1927, Harry left high school to join the Navy in 1944. He would then go onto appear on Broadway various times. Also a past and present civil rights activist, he was one of the most famous singers of his day. With the title “The King of Calypso,”he popularized Caribbean singing and go onto to star on stage and screen. Being homeless wasn’t the only obstacle singer Jewel had to overcome. However, she didn’t let dyslexia stop her from writing both songs and poetry. She has also received three Grammy Award nominations and has sold 27 million albums worldwide. Hits such as “Who Will Save Your Soul”continue to be played and a new album was released this year. Born in 1864, he was a leading German composer of the late Romantic and early modern eras. He is known particularly for his operas, Lieder, and tone poems. Strauss, along with Gustav Mahler, represents the extraordinary late flowering of German Romanticism after Richard Wagner. If you are a “Dead Head,”you need no introduction to Bob. He was one of the founding members of the Grateful Dead and still enjoys a cult following to this day Born in San Francisco, Bob was adopted but soon found a calling with the guitar and eventually joined the band. Even after the Grateful Dead broke up, Bob continued and still continues to play the guitar. The English band Oasis burst onto the scenes with hits such as “Wonderwall”and “Champagne Supernova.” Noel was the lead guitarist, songwriter, and occasional vocalist of the band. After the band broke up, he continued to play music and even found a few acting roles. These dyslexics made history in war, nations, and other areas across the globe. 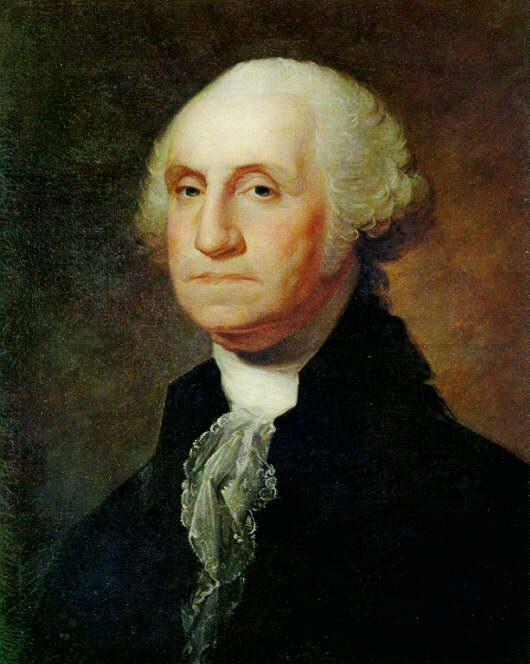 The founder and first President of the United States, Washington had many health troubles, including dyslexia. Born in Virginia in 1732, his early education was poor. He was asked by a governor to complete a mission in 1753 as part of the French-Indian war and became more active in military service. After becoming part of the Continental Congress, he would later be put in charge of the American Revolutionaries. After six years of hard fought combat, the Americans would win their independence under Washington. When the new Constitution was enacted in 1787, George Washington was unanimously elected as the nation’s first president. More than just the title of a novel, the Maestro is one of the most remarkable inventors, scientists, and writers in history. Born in Italy in 1452, he took on the challenges of math, music, and the canvas in ways never previously thought of before. He would often write notes to himself backwards and it was thought of as a code but is now more commonly linked to his dyslexia. The genius behind the Theory of Relativity also suffered from dyslexia. Probably the most famous and accomplished scientist of all time, Albert Einstein often got poor marks in grade school. While working as a patent clerk, he came up with his now famous E = mc squared equation. He was awarded many prizes for his scientific works including the Royal Astronomical Society Gold Medal, the Benjamin Franklin Medal, and the Nobel Prize for Physics in 1921. He was able to revolutionize the world with a simple cartoon mouse. As co-founder of Disney Productions, he oversaw it to become one of the leading production companies in the world. Other characters such as Donald Duck, Goofy, and even the ABC network have him to thank. Together, it is estimated that the Disney Corporation makes an annual revenue of $35 billion. He is often known as the American Leonardo da Vinci for his inventions and scientific achievements. Arguably the most successful inventor in human history, Thomas Edison held 1,093 U.S. patents and hundreds more in other nations. His most famous work includes the incandescent light bulb, the phonograph, the alkaline storage battery, and a forerunner of the motion picture projector. General Patton was a United States Army officer best known for his leadership while commanding corps and armies as a general during World War II. A West Point graduate, he joined the army in 1909. In World War II he commanded corps and armies in North Africa, Sicily, and the European Theater of Operations. A hit film of his life was made in 1970 which won seven Oscars. “We will fight them on the beaches”are the words best known from this British Prime Minister. Born in 1874 in Oxfordshire, he was a two time Prime Minister of England from 1940 to 1945 and again from 1951 to 1955. He was also an accomplished author. Throughout his lifetime he wrote books and reports, but his most famous are the biographies of his father and great ancestor. In 1953, Churchill won the Nobel Prize in Literature and was honored by President Kennedy and fellow dyslexic in 1963. Born in 1881, he was a Spanish-born painter, draughtsman, and sculptor who lived most of his adult life in France. He often reinvented himself and art as a whole by founding such movements at the Cubist. His most famous works include Les Demoiselles d’Avignon (1907) and Guernica (1937), his portrayal of the German bombing of Guernica. If you’re reading this on an iPhone or other mobile device, he is to thank. Born in 1847 in Scotland, he was an eminent scientist, inventor, engineer, and innovator. In 1876, he was awarded the now historic U.S. patent for the telephone which would go onto change the world forever. “For me, the toughest thing about dyslexia was spelling it.” These are the words the longtime comedian spoke on his condition. Despite his love of cigars, George would live to be 100 years old. Also an actor, he made history by being the then oldest person to ever win an Oscar at age 80 for his supporting role in the “Sunshine Boys”in 1976. These dyslexics were able to conquer the written word and live on forever through their books. His most famous written work “The Declaration of Independence”is still quoted in classrooms across the country and congresses across the world. He was chosen by the historic figures of the Continental Congress to write it and declare the United States as a free country. After a stint in Congress, he returned to his native Virginia where he served as governor. After losing the presidential election in 1796, he agreed to become the vice president to John Adams. He was then elected as the third President of the United States of America in 1801. Among his many achievements in his presidency was the Louisiana Purchase of 1803. The first lady of mystery is not the person you would first suspect of having dyslexia. Born in Torquay, England, her novels are still being reprinted over 30 years after her death. They include “And Then There Were None,”“The Mousetrap,”and “Murder on the Orient Express.” Many of her books would go onto become hit films. Christie received numerous honors during her lifetime including the Mystery Writers of America’s Grand Master Award (1955) and the order of Dame Commander of the British Empire (1971). Born in 1805, he was a Danish author and poet noted for his children’s stories. These include “The Steadfast Tin Soldier”, “The Snow Queen”, “The Little Mermaid”, “Thumbelina”, “The Little Match Girl”, and “The Ugly Duckling.” Translated into just about every language imaginable, his stories have also gone on to be recreated in films by fellow dyslexic Walt Disney. Who knew an obsession with math, words, and dyslexia would make for such a great writer? However, Carroll’s interest in the new form of math was the inspiration for his classic hit “Alice in Wonderland.” Also deaf in one ear, he also wrote books on mathematics, poetry, and academia. He is best known for his loveable cartoon creation Dilbert. Star of both the newspaper strip and loads of books, Dilbert is the loveable office dweller who so characterizes the white collar world of today. Scott was born in New York and actually earned a MBA degree before deferring to a cartooning career. In 1995, he was able to quit a job at Pacific Bell to work on Dilbert full time. If you are a science fiction fan, you need no introduction to author Terry Goodkind. Born in Nebraska in 1948, he is the best-selling author of the series “The Sword of Truth.” It has over ten million copies in print and has been translated into over twenty languages. There is even a television series based on the books. If you or someone you know are dyslexic, consult an expert as soon as possible. Although the above 50 famously successful people who are dyslexic have impressive accomplishments, many of them had to take special courses in order to read and learn with the special characteristics of a dyslexic.